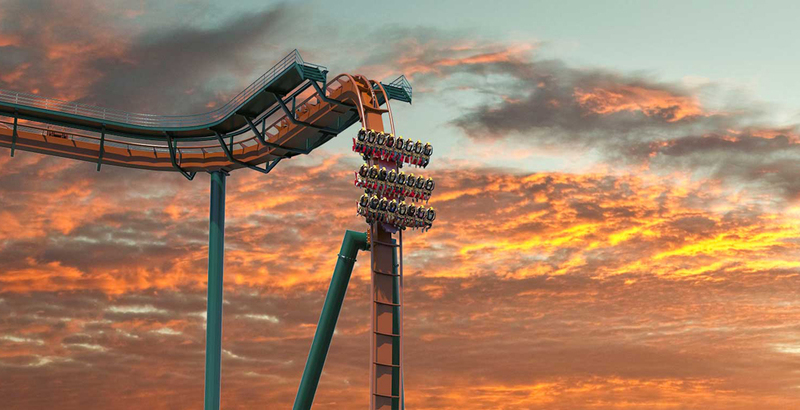 Busch Gardens will debut the tallest launch coaster in Florida later this year, with Tigris – a ride designed to mimic the agility of a tiger – set to open in the Spring. 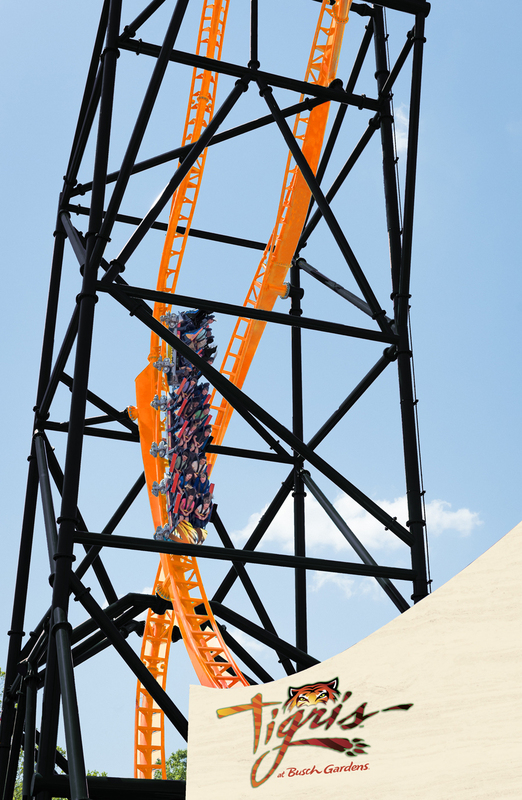 Covering 1,800ft (548m), the triple-launch steel coaster is based on Premier Rides’ Sky Rocket II model. 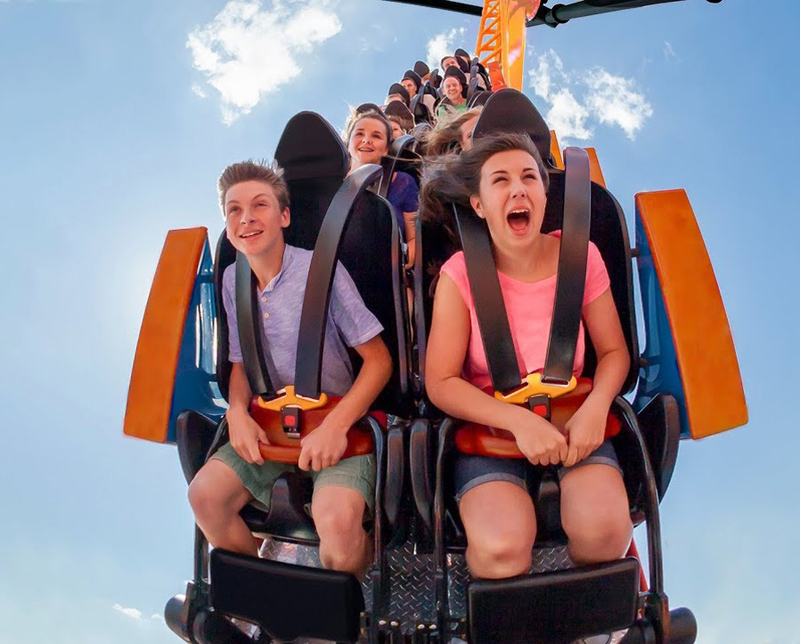 Reaching speeds of up to 60mph (97kmph), the ride will start with a 150ft (45.7m) skyward surge and an inverted heartline roll, before running through a series of looping twists, with the ride featuring forward and backward motions. Tigris is being constructed in the Stanleyville area of the theme park adjacent to Jungala, which is home to its endangered Bengal tigers. The ride – similar to parent company SeaWorld Entertainment’s Mako coaster, which opened in 2016 – will have a conservation element, with its queue containing educational material about the plight of wild tigers and the action conservationists are taking against it. Additionally, 5 per cent of the sales price of merchandise bought in the Tigris gift shop will be donated to the SeaWorld and Busch Gardens Conservation Fund’s actions to protect tigers and their natural habitat. 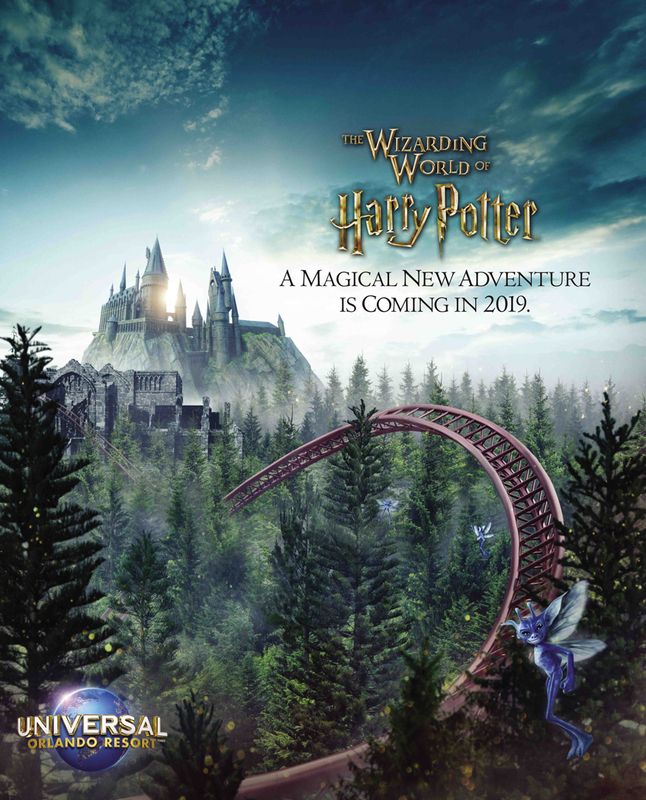 Described as one of the most highly-themed coaster experiences ever created by Universal, Hagrid’s Magical Creatures Motorbike Adventure – an LSM Launch steel coaster is set to open later in 2019 in the Hogsmeade area of Islands of Adventure. Replacing the Dragon Challenge duelling coasters, few details have been released about the new attraction, except that visitors will “fly with Hagrid on a thrilling roller coaster ride that plunges into the path of some of the wizarding world’s rarest magical creatures”. Universal as also promised that the new coaster will “redefine the category and transport you to thrilling places through an immersive journey”. Universal has collaborated with Warner Bros on the project, as well as the production team from the Harry Potter films. Disney’s iconic mascot – Mickey Mouse – will get his first ever Disney ride, when Mickey and Minnie’s Runaway Railway comes to Hollywood Studios, replacing the existing Great Movie Ride, which closed to the public in August last year. Based on Mickey Shorts seen on the Disney Channel, the ride will feature “surprising twists and turns, dazzling visual effects and mind-boggling transformations that happen before your very eyes. 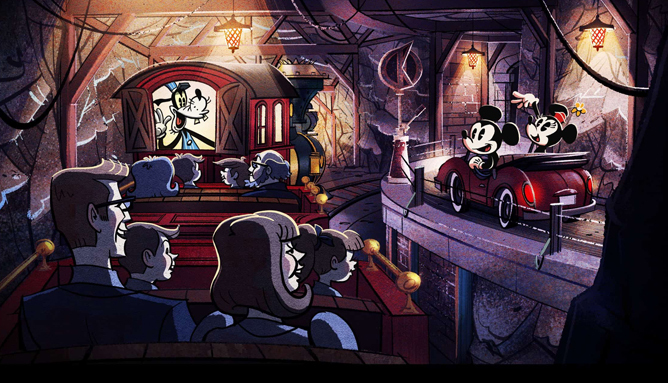 Starting with the premiere of a new Mickey Mouse cartoon, the ride will see Minnie and Mickey prepare for a picnic outing and encounter Goofy conducting a train. Riders will “pass through” a simulated movie screen, where they will enter the cartoon on board Goofy’s train. A first in theme park design, creative collective Meow Wolf has partnered with theme park Elitch Gardens in Denver, Colorado, to present a dark ride that doubles as a work of art. Called Kaleidoscape, the “artist-driven” dark ride will take visitors on a “densely immersive and fully interactive experience”. 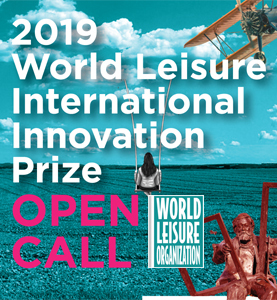 Using elements including motion, deep sound and wild colours, the ride will be a “multimedia piece of contemporary art,” says Meow Wolf, with the ride acting as a “prequel experience” to the collective’s blockbuster Denver exhibit, coming in 2020. The US$37m expansion for Dolly Parton’s Dollywood theme park in Pigeon Forge, Tennessee, has a family-friendly suspended steel coaster at its heart. 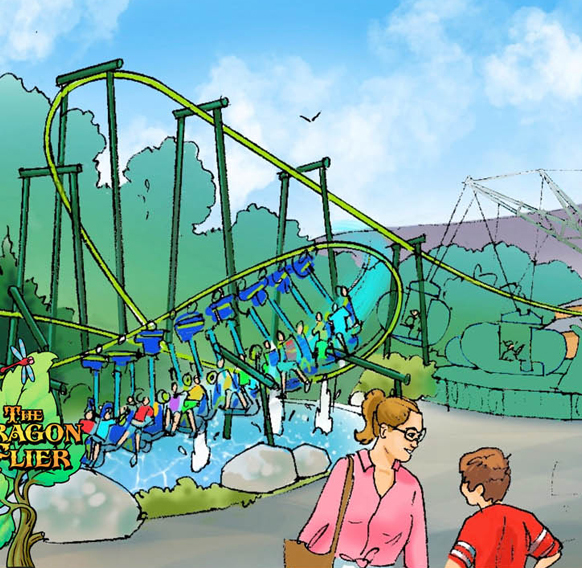 Called Dragonflier, the ride will be part of for Wildwood Grove, which is set for the Spring of 2019. Replicating the flight of a dragonfly, the new rollercoaster will reach heights of 63.3ft (19.3m) and speeds of up to 75kmph (46.6mph). Dragonflier will be joined by seven other attractions, including the Treetop Tower, Black Bear Trail, Mad Mocking Bird flying carousel, Sycamore Swing swinging ship and the Frogs and Fireflies carousel. The development represents the largest expansion in Dollywood’s history. Universal Studios Hollywood’s iconic Jurassic Park attraction is getting a redesign, with the attraction reopening in 2019 with an all-new Jurassic World theme. Closed on 3 September 2018, the park’s popular water ride – inspired by the original 1993 Jurassic Park movie – is being rethemed to reflect the newer Jurassic World set of films. The ride’s basic layout will remain the same. The new version, however, will include all new audio-animatronics and special effects, including a number of new dinosaurs such as the Indominous Rex, which is expected to play into the final scene of the ride before its 85ft (26m), 50mph (80kmph) drop. 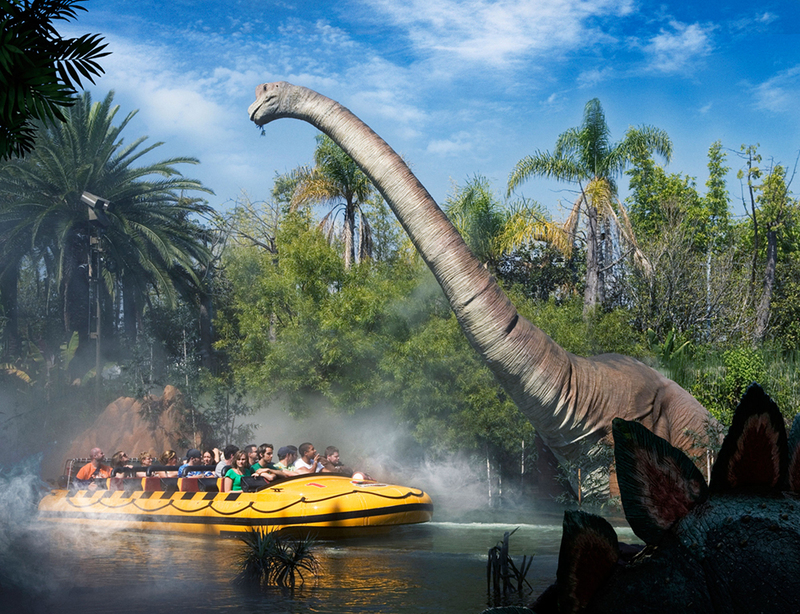 “With the introduction of never-before-seen dinosaurs, enhanced storytelling, lush scenic design, an entirely new colour scheme, and uncompromised state-of-the-art technology, the ride will capture elements never experienced within a theme park,” said a Universal statement. The original ride opened in June 1996 and was manufactured by Vekoma. Following its success, duplicates of the ride were built at Universal’s Islands of Adventure and Universal Studios Japan. An upcoming duelling steel coaster, Six Flags Magic Mountain is introducing the world’s first racing double launch coaster this summer. Working in collaboration with the West Coast Customs – a popular vehicle repair shop focusing on the customisation of vehicles and made famous with MTV’s Pimp My Ride – the Premier Rides-manufactured coaster will be part of the new Cyclone Bay. 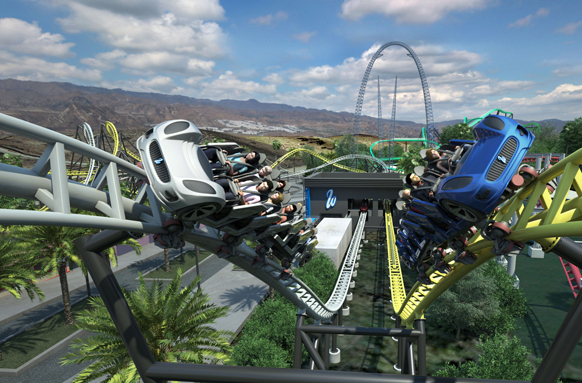 The ride experience will feature two side-by-side tracks with four high-speed launches. Riders will complete two laps, which will include an immersive real-time pit stop. 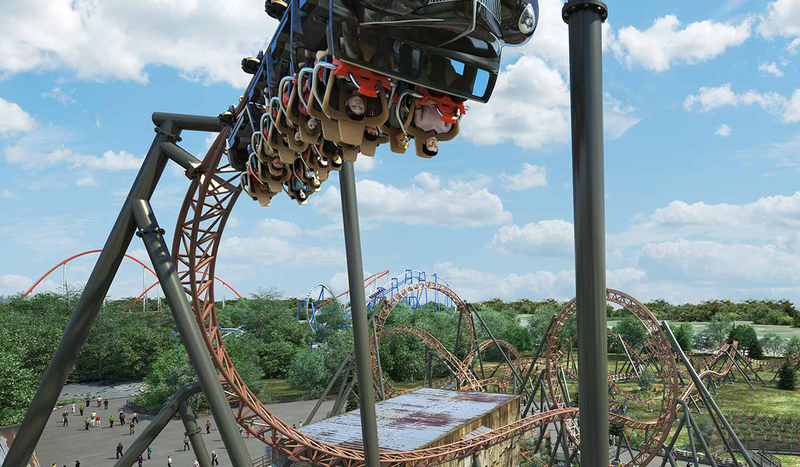 Under construction at Carowinds in Charlotte, North Carolina, US, Copperhead Strike is a double launched roller coaster set to debut as part of the theme park’s new Blue Ridge Junction area. Created by Mack, the ride will go from 0 to 68kmph (42mph) in just 2.5 seconds, reaching heights of 82ft (25m) with five inversions including two vertical loops. The ride will feature three 16-passenger trains modelled after 1930s coupes. The new area of the park represents Carowind’s largest ever investment. It will also include the new Mountain Gliders spinning attraction, as well as a new restaurant – Blue Ridge Country Kitchen. 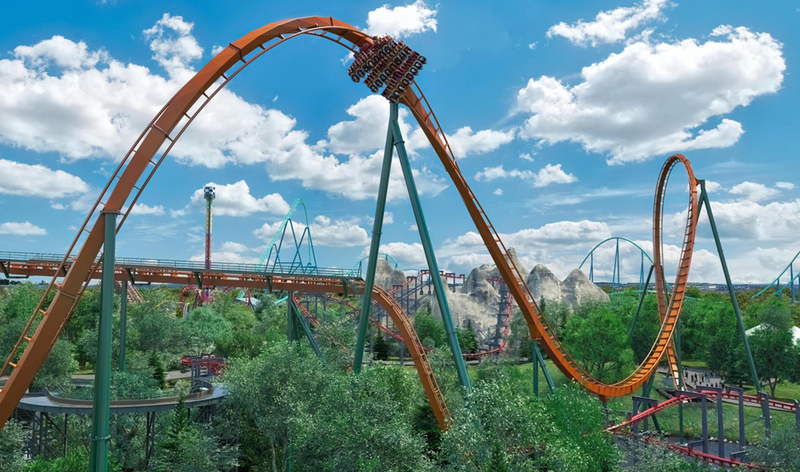 Opening soon at Canada’s Wonderland in Onatrio, Yukon Striker is a record-breaking steel coaster that will hold records for wold’s tallest, longest and fastest dive coaster. It will also hold the record for most inversions on a dive coaster (with four) and the longest dive coaster drop at 75m (245 ft). With a 90-degree drop, it will also become the steepest rollercoaster in Canada. Created by B&M, the ride will become the third-tallest coaster in Canada upon its completion. Reaching speeds of up to 130kmph (80mph), Yukon Striker will become the second-fastest rollercoaster in the country. The ride’s launch will coincide with the official opening of Frontier Canada – a new gold rush-themed area at Canada’s Wonderland. Originally conceived of for the park’s opening in 1981 but never built, Frontier Canada will include two new rides – a pendulum swing and family ride – as well as its existing Mighty Canadian Minebuster, Flying Canoes, Vortex, Timberwolf Falls and White Water Canyon. The latest Marvel addition to Disney’s parks, Ant-Man and The Wasp: Nano Battle! 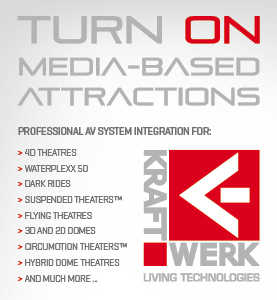 is an upcoming accelerated shooting dark ride set for the operator’s Hong Kong theme park. Replacing the existing Buzz Lightyear Astro Blasters dark ride, which uses an Omnimover system manufactured by Sansei Technologies, the new attraction will use the same infrastructure and ride system, with a retheming to the IP’s latest film Ant-Man and the Wasp. The ride’s story starts with a visit to the S.H.I.E.L.D. Science and Technology Pavilion – a newly opened facility at Stark Expo in the park’s Tomorrowland area. Set up to show the organisation’s new technologies, the visit is soon interrupted by Hydra, who attempt to steal a reactor from the top of Stark Tower in Hong Kong. Ant-Man and the Wasp call for help with the invading forces, with visitors using an “EMP Blaster” to disable a swarm of robots. The opening is part of a larger expansion of Hong Kong Disneyland, which is undergoing a major 6-year expansion at a cost of HK$10.9bn (US$1.4bn). Working alongside the Hong Kong government, the proposed expansion includes a Frozen-themed area, a Marvel-themed land, a redesigned Sleeping Beauty Castle, multiple attractions, and new live entertainment.